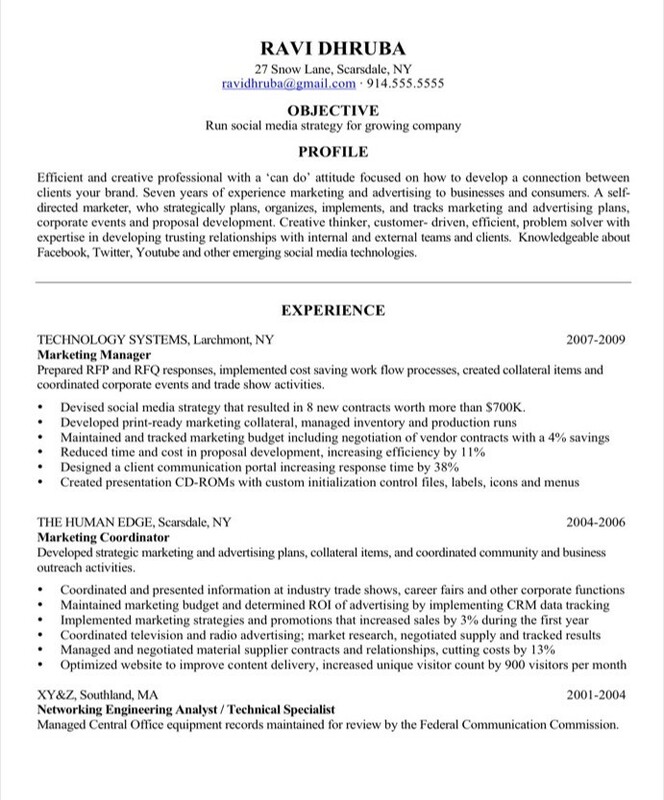 This post is part of an ongoing series documenting resume makeovers. Each resume was created by the Blue Sky Resumes team for one of our clients, although the details have been changed to protect confidentiality. We hope the resumes, and our strategy explanations will inspire you to makeover your own resume. Ravi Dhruba came to us looking for help with his social media resume because he had been putting in job applications for several months without success. In his most recent position, Ravi had discovered a love for social media marketing. He enjoyed using it and he was good at it. He wanted to parlay his experience into a position that was more focused on social media and less on traditional marketing. The problem is that his resume didn’t highlight his social media experience, skills or successes. Instead it focused on the breadth of his marketing background. Focus is vital in resume writing. You have to help employers understand exactly how your skills and experience matches what they need. 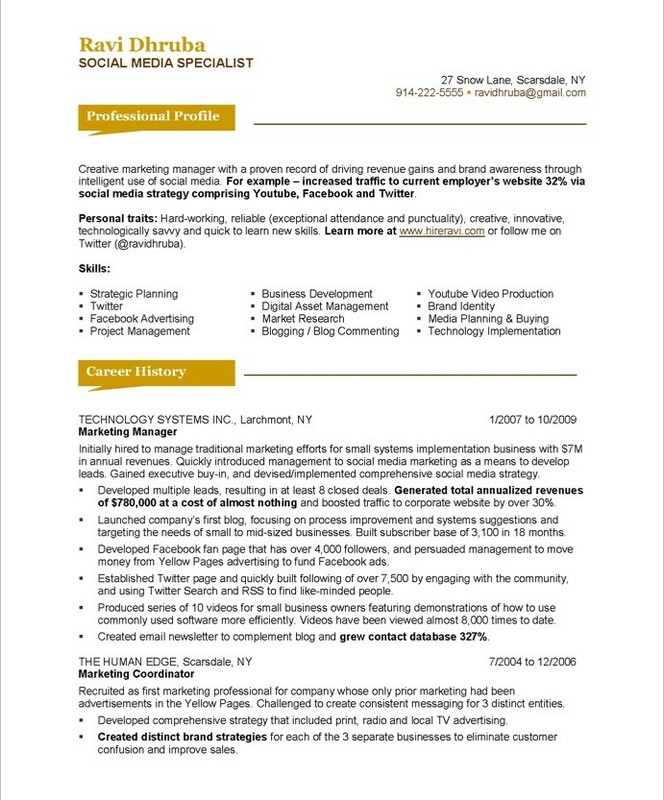 Therefore, we completely transformed Ravi’s resume by going into a lot of detail about his social media and blogging experience and almost eliminating unrelated achievements from his most recent position. Even though many of those achievements were impressive, they were distracting readers from the skills that are important in social media marketing. Notice the dramatic shift difference between the two resumes and how that impacts your own impression of Ravi and his background. It had the same impact on employers. Once he started to use his new resume, Ravi was quickly hired to manage social media marketing for an e-commerce company – all because of a simple change in focus.